Pictures of our day at Woz's! Snaggy and I had the most amazing day... we were guests at Steve Wozniak's computer class! Thanks Woz, for the best experience! Yesterday I taught Woz's computer class about web cartooning. I gave them a brief history of how I got into the toon biz, gave them a guided tour of the highlights of AY2K, then I showed them the programs I use and how I make AY2K style cartoons. The kids seemed to really enjoy it, and the TTBs were a big hit! Together we came up with the comic below, and from those graphics, Snaggy showed them how to make buttons with our button maker. This was an experience I'll never forget, and truly the highlight of my Millennium. Thanks again to Woz and the gang! 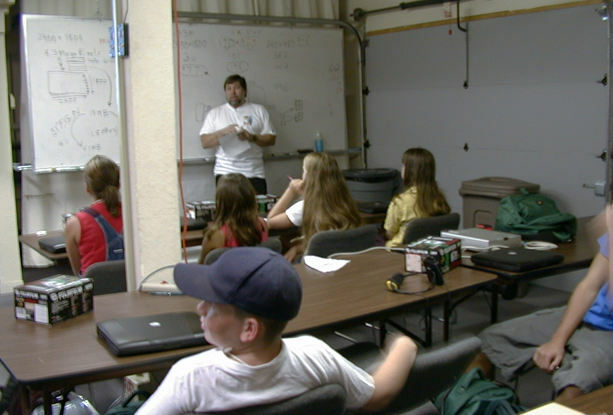 Woz introduces Nitrozac to his class. These kids have a great grasp on technology already. Love the super cool PowerBooks! 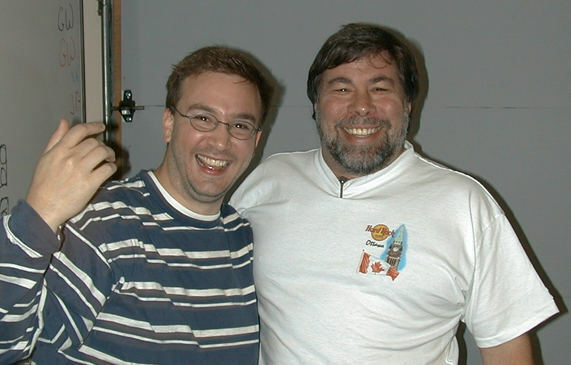 Nitrozac's photo of Joe Patane and Woz, which she used as a basis for her cartoon. 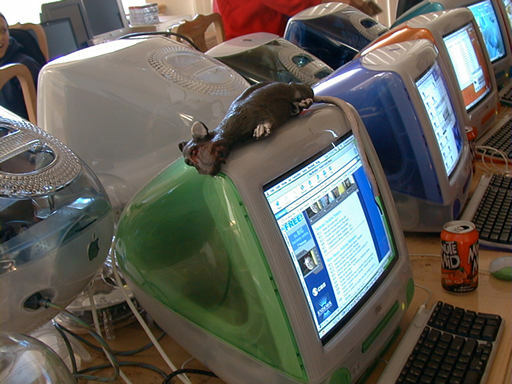 The latest accessory for your iMac. One of the buttons Nitrozac made for Woz and his class! 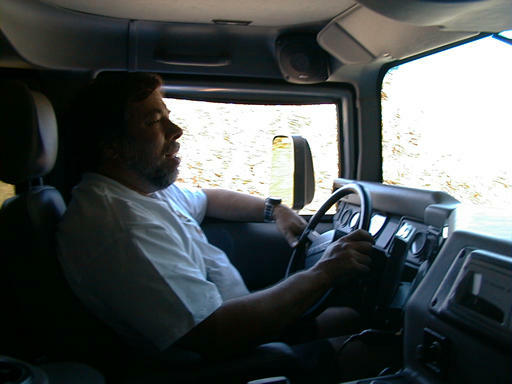 Woz at the wheel... of his HUMMER!